It’s been a while since I was last at May Street Larder and I can remember attending their launch early this year. Since their launch, May Street Larder has been gaining a lot of popularity throughout the months and I’m glad to see that they are doing so well. Recently, I was invited along with my guest, Jess to enjoy a Soul food dinner at May Street Larder as a part of a pop up dinner series on Friday, Saturday and Sunday nights. We started off the night with some cocktails. 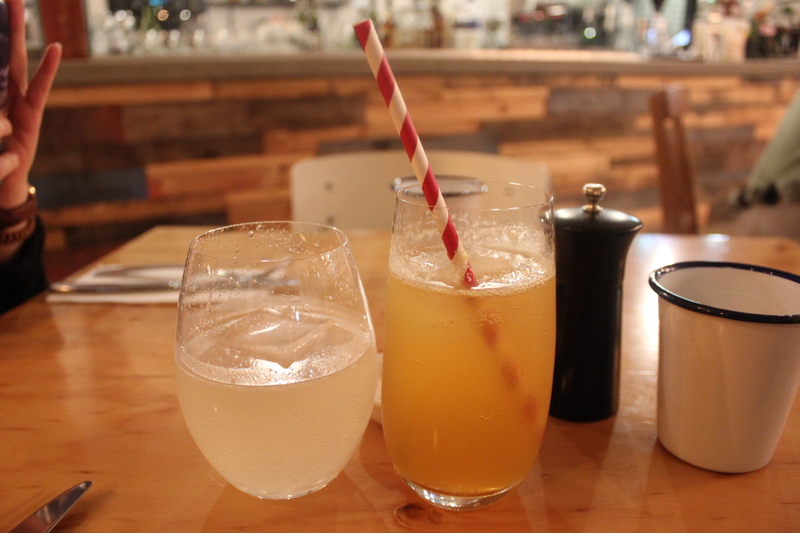 I had the Harlem Sweet Tea ($16), comprising of an earl grey infused gin and lemon. Jess had the Spicy Mumma ($14), a concoction of gin, jalapeno and thyme infused syrup and lemon bitter. Both of the cocktails are quite refreshing but the Spicy Mumma will give you a little bit of a refreshing chilli kick. 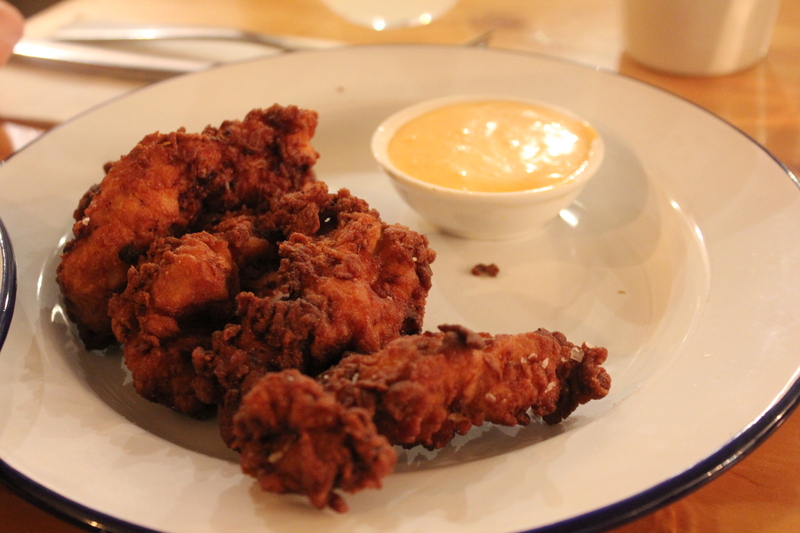 We started off with the Street Corn ($10) and Fried Buttermilk Chicken with Kimchi Mayo (4 pieces for $9). 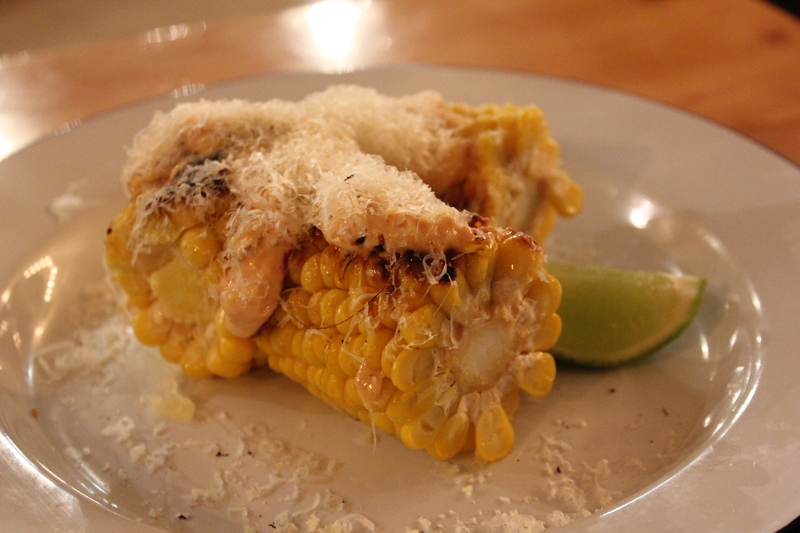 The street corn is what you would imagine eating on the streets in Mexico. It’s well-buttered on the outside with a combination of cheesy and spicy textures from the manchego and chipotle topped up with a punch of fresh sour flavours from the lime. The Fried Buttermilk Chicken is crispy with a crunch evident in every bite, complementing well with the creamy and spicy flavours of the kimchi mayo. 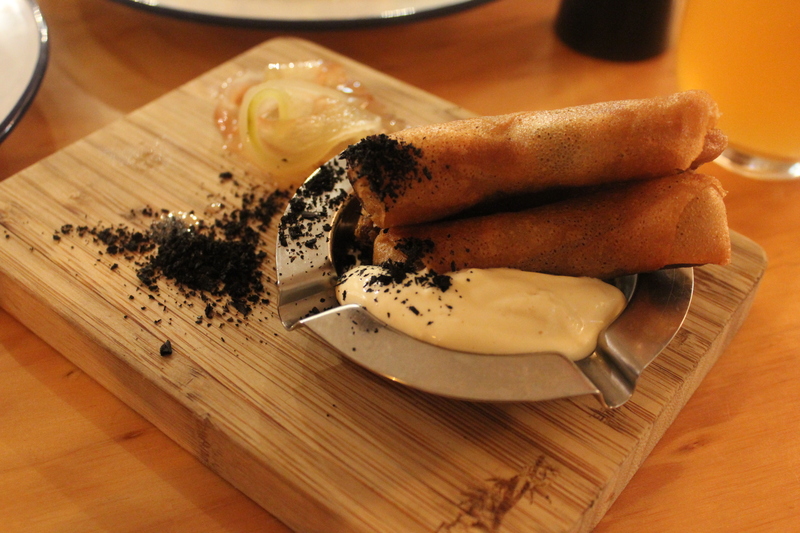 Next up, we had the pulled beef brisket cigars ($12) and Rottnest lobster doughnuts ($14). When the pulled beef brisket cigars arrived on the table, I thought it was presented very well, with the beef brisket cigars in the ashtray. The pulled beef brisket cigars are crunchy on the outside, concealing the flavoursome and tender textures of the pulled beef brisket inside. 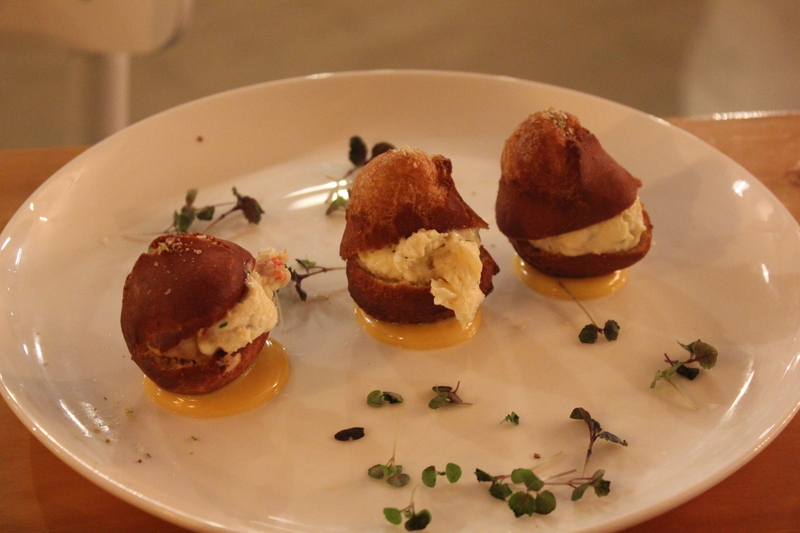 The Rottnest lobster doughnuts were sensational too, with a texturally well balanced combination of juicy lobster flesh sandwiched in between the sweet brioche bread, with a delicious lobster aioli. 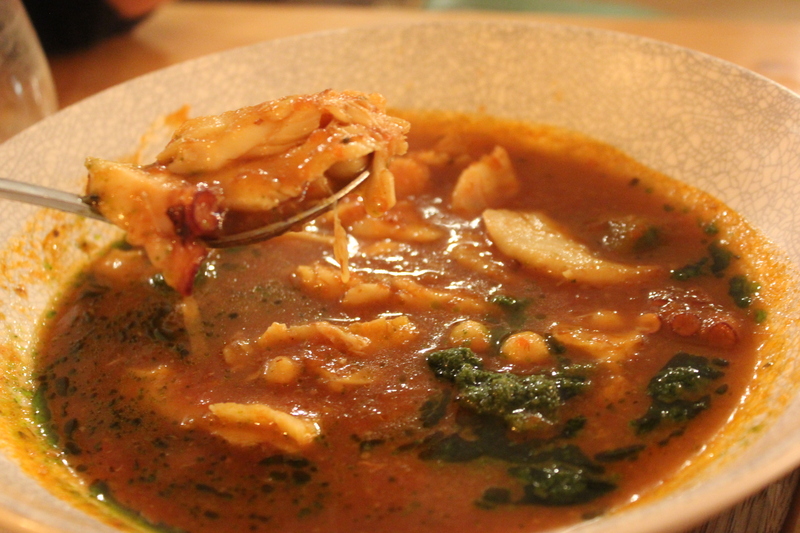 The Fremantle Gumbo ($17) comprises of a delicious combination of Fremantle octopus, salt cod, okra, frava beans and tomatoes. As a whole, it is a hearty and heartwarming dish perfect for the cold, wintry weather. It’s texturally well balanced and very flavoursome. 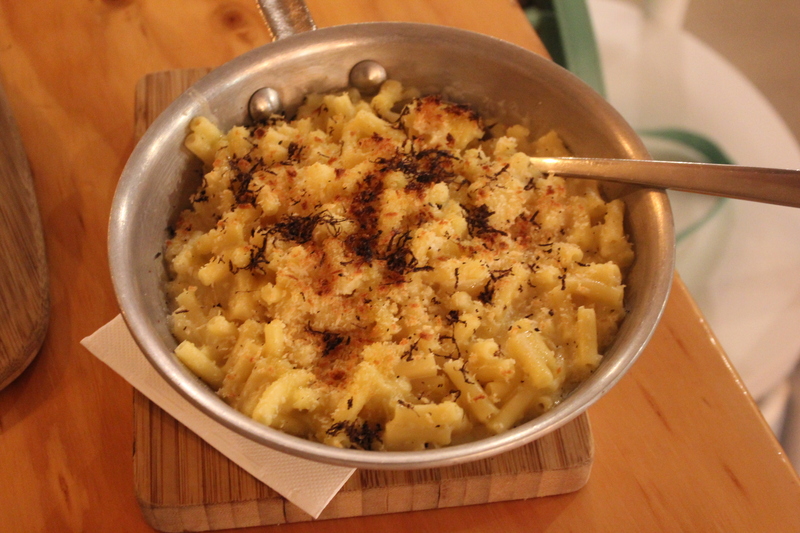 We also had a serve of truffled mac n cheese ($17) for our sides topped with cheddar, parmesan and gruyere cheese and truffle. 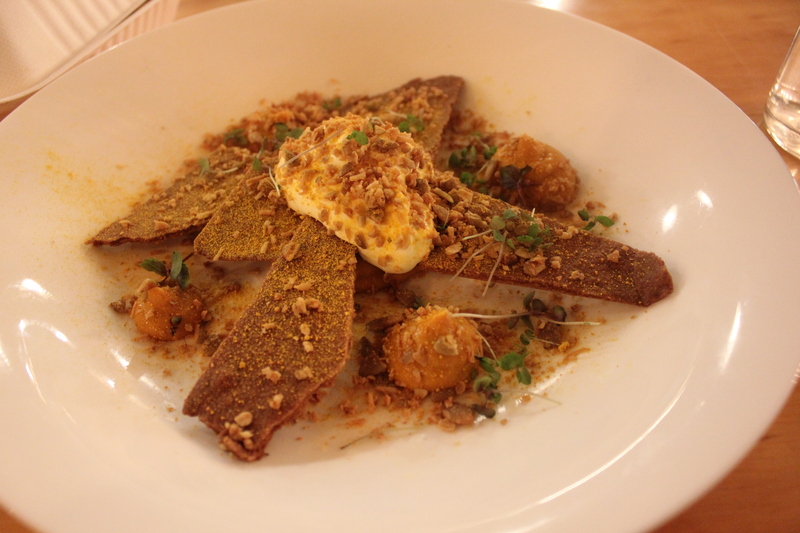 It was bursting full of cheesy textures and a hint of earthy flavours from the truffle. Yes, we still did have some room for desserts although were quite full. For desserts, we shared a deconstructed pumpkin pie ($14) which comprises of cinnamon sable, pepita granola and dulce de leche. The flavours were lovely and it was not too overly sweet with strong flavours of cinnamon while I really love. 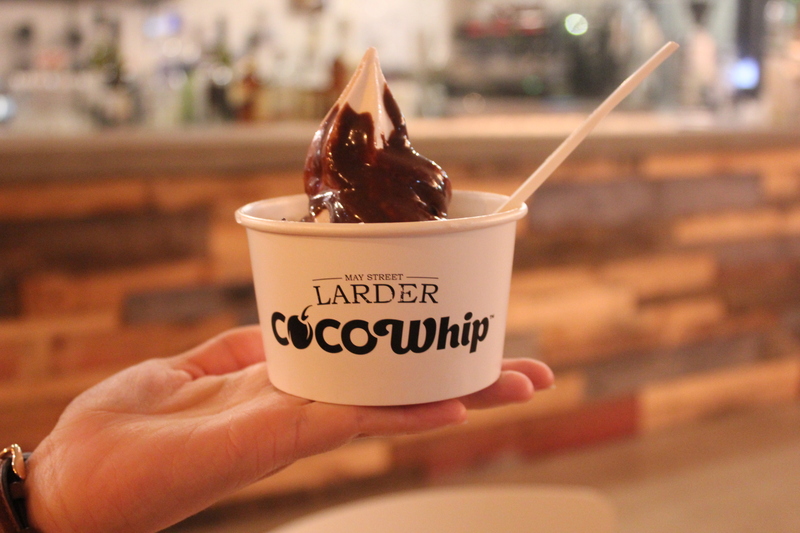 You can’t leave May Street Larder without ordering a Cocowhip. We also shared a Cocowhip with Raw Nutella as a refreshing end to our feast. Jess and I enjoyed the food very much at May Street Larder and we will definitely be back again to try the other food from the menu. It’s always hard to make a decision when everything sounds so good.